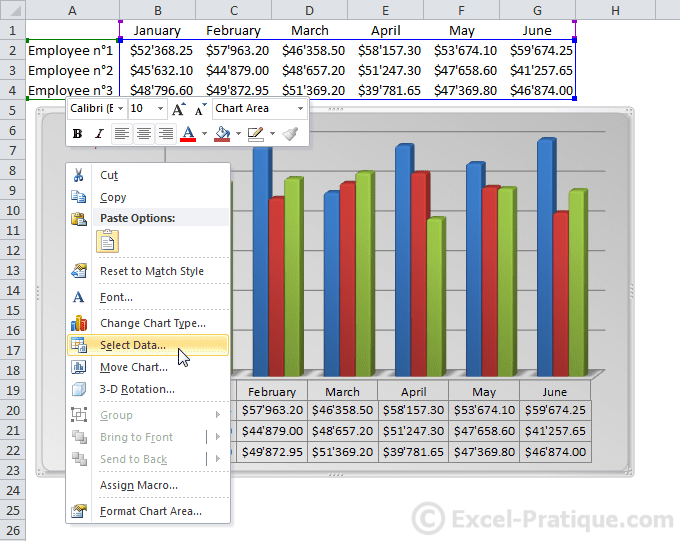 20/07/2011 · For all general questions relating to Excel but not including VBA or formulas.... In the Axis label range box, do one of the following: Specify the worksheet range that you want to use as category axis labels. Type the labels that you want to use, separated by commas — for example, Division A, Division B, Division C .
I created a macro: select graph, change data selection, overwrite static cell range with my created dynamic name, enter. I assigned this macro to a "Update Graph" button, but noticed the macro had taken the name's range as static, not dynamic.... I created a macro: select graph, change data selection, overwrite static cell range with my created dynamic name, enter. I assigned this macro to a "Update Graph" button, but noticed the macro had taken the name's range as static, not dynamic. I have a strong reason for you to use a dynamic chart range. It happens sometimes that you create a chart and at the time when you update it, you have to change its range manually. The graph will update the range automatically, too, if the graph's range matches the table. If not, you may need to go into the graph and re-select the data range to match the table. If not, you may need to go into the graph and re-select the data range to match the table.